Product prices and availability are accurate as of 2019-04-08 06:04:41 UTC and are subject to change. Any price and availability information displayed on http://www.amazon.com/ at the time of purchase will apply to the purchase of this product. 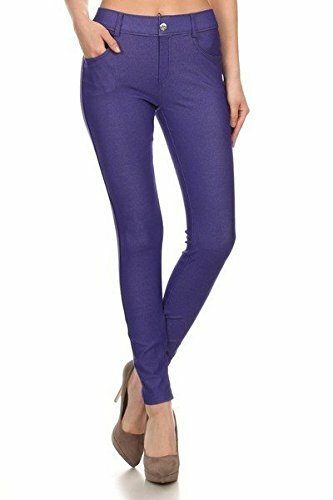 Don't sacrifice style for comfort - with these fabulous jeggings, you get the cool denim look without the scratchy and restricting feel of traditional jeans. Featuring a soft cotton-blend, full length skinny fit, and non-functional rhinestone button embellishment, these chic faux-jeans will keep you both looking and feeling cool and comfortable.